Thank you, Dr WiseMoney. You will be missed. Amanda Liu, DO, also known as Dr. WiseMoney, unexpectedly passed away just days before Thanksgiving. She was a shinning light to others in all that she did, whether it was tutoring undergraduates or medical students, orienting resident physicians, or educating others on finances and well being. Encouraging others to do yoga with her during lunch, humming softly as she did her work, or always looking people in the eye and smiling, she was uplifting and bright. She got into medical school without having any connections or financial support while simultaneously working, going to college, and taking care of an ailing family member. She worked hard tutoring undergraduates and medicals students while being financially frugal and savvy so that she paid off her student loans as an intern. She bought a house as a resident and was looking into buying a second. These feats are unimaginable, and if I hadn't met her, I would think they were impossible. With all these incredible triumphs, Amanda was down-to-earth, humble, pleasant and always willing to help. But her most prized achievement was being a mother. She deeply loved and was fiercely loyal to her daughter and always enjoyed sharing her and her daughter's latest experiences. She dreamed of working part time so she could volunteer at her daughter's school or attend her daughter's performances. Her most cherished goals did not revolve around money, despite her amazing ability to accumulate it. Rather, she wanted to do well and to be good. Amanda, this world is a different place without you. But not to worry, your legacy will live on in your daughter, your family, your friends and colleagues, those you tutored and mentored, and all those who will be further inspired by your work from the dermatologist in Denver, to fellow radiologists in Tucson, to those in San Marino. Below are just a few of the words that some of those you inspired had to say. "Amanda and I connected through our mutual interest in finance. She amazed me with her energy and financial acumen - she would try anything and it seems she pretty darn near accomplished all she tried. She was generous to praise MY knowledge any time I would answer one of her many questions even though I was in awe of her. Her curiosity was insatiable and she was inspired by almost everything. She encouraged me to start writing for PMD and shared ideas, for which I am grateful. Most of all, I admired the way she loved her daughter, and included her in so many of her plans. I will miss Amanda's big heart, her exuberance, joy, and inspiration." "I met her in person (along with her father) when I spoke at the U of Arizona, where she was a radiology resident. She was personable, pleasant, articulate, and enthusiastic. At the time of her death, she was making a valuable contribution to her family, society, and certainly to the physician financial blogosphere. I’ll miss you Amanda. May you rest in peace." "Amanda was so interested in learning and sharing her knowledge, and she had a deeply held and genuine desire to help physicians achieve financial security. She worked passionately on her website, her blogs, and her articles and she was always seeking feedback as she sought to improve on everything she did. Amanda was very young to be 'putting herself out there' as a blogger in the public sphere for everyone to see. Sometimes, she dealt with comments that were tough for an aspiring writer, but she wasn't discouraged. She stayed genuine and honest and continued to make connections and help people in every way she could. The thing that was so endearing about Amanda was her openness and that she didn't shy away from showing her real self as she strove to help others. Overall, it was clear that her number one priority through everything she did was in taking good care of her daughter, who was her inspiration." The news of Amanda's passing triggered immense feelings of both shock and sorrow. She and I had communicated and collaborated quite a bit this year, swapping ideas, guest posts, and encouragement. She had seemingly boundless energy and was motivated to be the best doctor, mother, and person she could be. Our thoughts and prayers are with her family, particularly her daughter "Mini" whom she so clearly and dearly cherished. I desperately wish something could have happened to avoid this outcome, although I don't know (or need to know) the details. I do know from her very public admission that she had recently sought help for mental health issues. Based on her thoughtful and often introspective writing, she showed us she knew how to take care of herself and seemed to be taking the steps to live the life she wanted for herself and her family. What a tragedy to see that life end so abruptly. Amanda will be missed by so many, but her words will continue to inspire. A new post on being a small fish in a big pond was published on 11/30, and based on her prolific productivity; I believe we will continue to hear from her for months to come – a welcome gift, but a small consolation. Rest peacefully, Amanda." "I was first introduced to Amanda (Dr. Wise Money) in March of 2015 when I reached out to Dr. Dahle at the White Coat Investor on suggestions to improve my own site. His response was "Interesting. 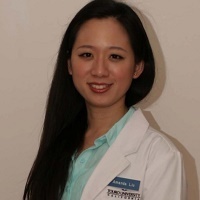 You're the second radiology resident with the last name Liu who has started a financial website for doctors this week! You guys ought to get together!" Throughout our collaborations, I was most impressed by how productive she was. Being both radiology residents who have a passion for spreading financial knowledge, while I struggled to write three times a week for Future Proof MD, she managed to pump out 182 posts including multiple articles on Physician's Money Digest per week, start the Physician Support Initiative (PSI), a YouTube channel, authored multiple books all while being a mother to her beloved Mini Wise Money. Thank you from all the lives you've touched and changed. We will miss you dearly." "I've been reflecting on her legacy since I heard of this news a few days ago. I've been absolutely shocked and devastated. Although we never met in person, she and I talked together on the phone a dozen times and emailed many times more than that. Without a doubt, she was incredibly smart. What astounded me was how in the world did this incredible person pay off her student loans so quickly? She did this incredible feat that nobody else heard of- using credit cards- to pay off student loans by the START of residency. That may sound ludicrous, but she did it by pitting banks against one another and ended up with a negative interest rate! Wow! Now, that's brilliant and amazing. However, more important than money and knowledge I admired who she was as a person. Amanda was so passionate about her colleagues and about medicine. She loved her patients. When we talked, she spoke with an inner fire that was stoked by seeing people healed. She so badly wanted to help heal the world. To see us all built up. For her colleagues, I saw her filled with a burning desire to help those around her and collaborate with her colleagues. She created her blog to help others climb the mountain of financial worry. She and I talked many times about concepts and ideas and ways we could help the physician community. She gave, gave, and gave some more. Yes, she had a heart for people. As a blogger/podcaster, I was so excited to work with someone who was so eager and driven. She was incredible to collaborate with and was a bubbling fountain that eagerly embraced new knowledge and new ideas. However, beyond all that, she was passionate about her family. Her beautiful daughter was her inspiration. The two of them created so many loving memories that Amanda blessed us with that we can still view and enjoy. Whether they painted, did yoga, or created a financial legacy, the two of them were two beautiful peas in a pod. I look forward to the day when I can give that little girl a hug and tell her about all the amazing things her mommy did and how she impacted my life and inspired me. She was open and honest and transparent about her struggles, joys, temptations, and desires. She was an open book when many of us are afraid of how others might perceive us. I am inspired by Amanda to live life fully each day. I am inspired by Amanda to dig down and look under nooks and crannies for the unexpected in finance and outside of finance. I am inspired by Amanda to live and love with a nurturing heart. This wonderful woman left this earth and I am wondering how someone so amazing could leave us at such a tender age. She leaves us a rich legacy of love, devotion to family, and a system for prospering financially. Rest in peace, my friend. Amanda Liu’s determination and cheeriness brightened my life, first as a high school student in my Calculus BC class, then by standing with me on our annual trip to the freezing snow of the Yosemite highland, later by telling me about her undergrad research at Berkeley, sharing the birth of her daughter, the joy of admission to medical school, her success as a University of Arizona resident, and finally asking me to contribute to her renowned Dr. WiseMoney blog. As she took from me, she also gave back. She always left me feeling like I was important, like I was making a difference. I’m shattered by her passing. I just had dinner with her on Monday the 16th! The older generation shouldn't have to bury the younger; this is so sad. Let’s all hold family tight in this tough time. PS. Please email me at doc.mclarson@gmail com if you have anything you would like to pass along to the family or to include in a future post. Also, after the shock wears off, those in her residency program hope to discuss with the family about establishing a memorial fund to further Amanda's Physician Support Initiative. Please include in your email if you would like to receive further information and I will respond when there are solidified details.